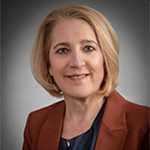 Virginia “Gina” C. Drosos, 56, is the Chief Executive Officer and has been on Signet’s Board of Directors since 2012. 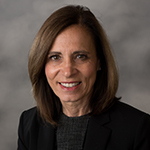 Gina most recently served as President & CEO of Assurex Health, where she delivered significant revenue growth and executed the strategic sale of the Company to Myriad Genetics for up to $410 million. Prior to Assurex Health, Gina spent 25 years at The Procter & Gamble Company (“P&G”) where she held positions of increasing responsibility with strong proven results and became a thought leader in Beauty and mass brand retailing. She most recently served P&G as Group President, Global Beauty Care, an over $6 billion business unit with a portfolio of more than 20 brands, each with its own marketing strategy, over 6,000 employees and 22 manufacturing sites. In this role, she had responsibility for overseeing the business unit operations, strategy and long term business development, successfully transformed the unit’s digital marketing efforts including the first digital-only brand campaign for P&G’s Secret brand, and innovated large brands, such as CoverGirl, Old Spice and Olay. Olay grew from a less than $200 million to $2.5 billion iconic mega beauty brand under Gina’s leadership. Gina holds a Bachelor of Business Administration from The Terry School, University of Georgia, and a Master of Business Administration from The Wharton School, University of Pennsylvania. H. Todd Stitzer, 67, has been Chairman of Signet since June 2012. 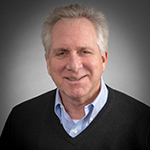 Mr. Stitzer is a Director of privately held Massachusetts Mutual Life Insurance Company and a member of the advisory board of Hamlin Capital Management, a privately held investment advisory firm. Prior to this, Mr. Stitzer was, until its acquisition by Kraft, Inc. in 2010, the Chief Executive Officer of Cadbury plc (previously Cadbury Schweppes plc). Having joined that company in 1983 as Assistant General Counsel for North America, he later moved into strategic planning, marketing and sales roles. Mr. Stitzer became CEO of Cadbury plc’s wholly-owned subsidiary, Dr Pepper/7 Up Inc., in 1997 and then of Cadbury plc in 2003. Mr. Stitzer practiced as an attorney with Lord, Day & Lord, was a director of publicly held Diageo plc between 2004 and June 2013, and was a member of the advisory committee to the board of Virgin Group Holdings Ltd between 2010 and 2014. Mark Graf, 54, currently serves as Chief Financial Officer at Discover Financial Services and has more than 30 years of experience in treasury, financial planning, accounting, corporate development and business line management. 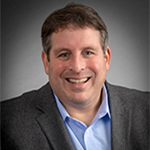 Prior to joining Discover Financial Services, Mr. Graf was an Investment Advisor at Aquiline Capital Partners, a private equity firm specializing in investments in the financial services industry. Prior to that, he served as Partner at Barrett Ellman Stoddard Capital Partners from 2006 to 2008 and Chief Financial Officer of Fifth Third Bancorp from 2004 to 2006. Mr. Graf holds a BS in Economics from the University of Pennsylvania, Wharton School. 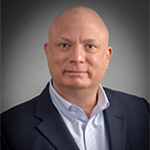 C-suite leadership awards, Hicks is an active member of the CIO Strategy Exchange, Corporate Executive Board for Chief Information Officers, member of the board of trustees for the Greenhill School, and a recent board member of the Trevor Project. 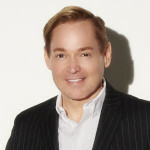 Hicks received a Master of Business Administration from University of California, Irvine and a Bachelor of Science in Business Management from Pepperdine University. Helen McCluskey, 64, was appointed as a Director of Abercrombie & Fitch Co. in February 2019, Dean Foods Company in November 2015 and Avon Products Inc. in July 2014. Prior to this, she was President and CEO of The Warnaco Group, Inc. until its 2013 acquisition by PVH Corporation. 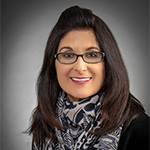 Ms. McCluskey joined Warnaco as Group President, Intimate Apparel in 2004, and her responsibilities continued to increase, becoming Chief Operating Officer in 2010, and President and Chief Executive Officer in 2012. Prior to joining Warnaco, Ms. McCluskey held various positions of increasing responsibility with Firestone Tire & Rubber Company (1977-1983), Playtex Apparel, Inc (1983-2001) (which was acquired by Sara Lee Corporation in 1991) and Liz Claiborne Inc. (now Fifth & Pacific Companies Inc.) (2001-2004). 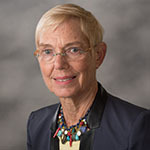 Ms. McCluskey served as an Independent Director of PVH Corporation until June 2014, which position she assumed following the merger with Warnaco in February 2013. With Ms. McCluskey’s broad background in strategy, business planning and operations, she brings valuable skills and insight to the Company. 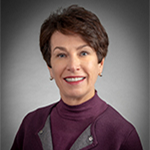 Sharon L. McCollam, 56, was appointed an Independent Director in March 2018. Sharon served as the Chief Financial Officer and Chief Administrative Officer of Best Buy Co., Inc. from December 2012 to June 2016. She continued to serve as an advisor to Best Buy until January 2017. 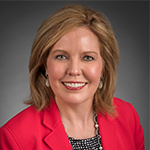 Prior to Best Buy, Ms. McCollam served as Chief Financial Officer and Executive Vice President of Williams-Sonoma Inc. Ms. McCollam also served as Chief Financial Officer of Dole Fresh Vegetables, Inc. from 1996 to 2000. She is a member of the Board of Directors for Stitch Fix, Inc., a public company. Ms. McCollam is also a St. Jude Children’s Research Hospital/ALSAC Board member. Marianne Miller Parrs, 75, is a Director of Stanley Black & Decker, Inc. (previously The Stanley Works Inc.) and CIT Group Inc. She retired in 2007 as Executive Vice President and Chief Financial Officer of International Paper Company, having joined in 1974 as a Pension Trust Investment Manager and holding a number of positions before first being appointed Senior Vice President and Chief Financial Officer in 1995. She held this position until 1999 when she was appointed Executive Vice President with responsibility for Information Technology, Global Sourcing, Global Supply Chain and Investor Relations. She held this role for six years and she was also reappointed Chief Financial Officer in 2005. Previously Ms. Parrs was a Security Analyst at a number of firms including Merrill Lynch. The Board considered it necessary to recruit to the Board a Director with substantial US financial reporting experience. 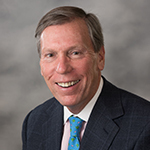 Thomas Plaskett, 75, has been Chairman of Fox Run Capital Associates, a private consulting firm focusing on financial advisory and corporate governance services for emerging companies, since 1991. From 1999 until 2000 he served as the Chairman, President and Chief Executive Officer of Probex Corp., an energy technology company. He also served as Vice Chairman of Legend Airlines from 1997 until 2001. Mr. Plaskett served as Interim President, Chief Executive Officer, and Acting Chief Financial Officer of Greyhound Lines for two years before becoming Chairman from 1995 until 1999, when the company was sold. Previously, he was Chairman, President and Chief Executive Officer of Pan Am Corporation from 1988 until 1991. Prior to that, Mr. Plaskett was President and Chief Executive Officer of Continental Airlines from 1986 to 1987. Mr. Plaskett also held several senior management positions at American Airlines Group, Inc. and AMR Company between 1974 and 1986. Mr. Plaskett served as a Director of Alcon Laboratories Inc. and RadioShack Corporation until May 2011 and November 2013 respectively. 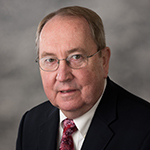 Mr. Plaskett joined the Board as his considerable general management skills were considered to be an enhancement to the overall efficiency and effectiveness of the Board. Eugenia Ulasewics, 65, is a Director of Hudson Ltd., Bunzl plc and Vince Holding Corp. She was President of Burberry Group plc’s American division, responsible for the US, Canada, Latin America, Central and South America until her retirement in March 2013. Ms. Ulasewicz joined Burberry in 1998 and became a member of its executive committee in 2006. Ms. Ulasewicz has held positions of increasing responsibility with Bloomingdales, a division of Macy’s Inc. (formerly Federated Department Stores, Inc.) (1975-1991), Galeries Lafayette (1991-1993) and Saks, Inc. (1993-1998). She has expertise in retail, branding, marketing, omni-channel, global operations and general management that provides valuable skills and insights to the Company.